Listed below are some of the frequently asked questions that come into the CAMPUS office. How do I register a campus ministry at my university? Every university has different requirements for establishing a student organization. Contact your Student Activities department or its equivalent, for information on what your university requires. What materials should we use for Bible study? A Spirit of Prophecy book, like Steps to Christ or The Desire of Ages may be used as an outline. You may also follow a series like the Storacles or Discover. Can CAMPUS run a Bible Lecture Series on my university campus? CAMPUS staff are willing to conduct a Bible Lecture Series as an evangelistic outreach on your university campus. Contact us at info@campushope.com for more information.  Where do I go for training in campus ministry? Intensive: CAMPUS l.e.a.d.s. is a 5-day intensive training program held every second weekend of July. Summer: CAMPUS ExCEL is a 10week training program. See PROGRAMS for more information. Year-long: The Missionary Training Program is a year-long training opportunity. How do I get funding for my campus ministry? If your group is registered as an official student organization at your school, you are most likely eligible for funding from the university. Contact the department in charge of student organizations at your school to inquire about how to access these funds and what they may be used for. A supportive local church may also assist with funding training and outreach activities for your group. Are donations to CAMPUS tax-deductible? Donations to CAMPUS receive a comprehensive tax-deductible receipt at the close of the year. Who may benefit from the training and support that CAMPUS offers? Anyone with a burden for campus ministry is welcome to join the CAMPUS family. Can CAMPUS come speak at our event? Your request will be prayerfully considered but time constraints and our responsibilities within the Michigan Conference will limit our ability to fulfill every request. Please fill out the following form to provide information that will be beneficial in our attempt to fulfill your request.